Do you have questions about our classes? If so, take a look at our list of frequently asked questions and answers! If you can’t find the answer to your question, please send us an email and we’ll get back to you soon. Why are the prenatal yoga classes 2 hours long? At what point in my pregnancy should I start prenatal yoga? I have never taken a yoga class before – can I attend a prenatal yoga class? I just had a baby. Is it ok for me to come to Prenatal Yoga? What should I wear / bring to prenatal Yoga class? Can my partner come to prenatal yoga class with me? How often should I attend prenatal yoga? I practice yoga regularly. Is it ok to continue, or should I switch to prenatal yoga? What should I look for when selecting a prenatal yoga class? Do I need to pre-register for a class, or can I just drop in? What do I do once I arrive at the studio? What happens if I purchase a class card but have my baby before I am able to use up all the classes on my card? What is Yoga for New Moms? What are the benefits of Yoga for New Moms? When is it safe to start yoga after delivering my baby? Can I come to class without my baby? Why does this class run as a 5-week session instead of a drop-in class like the prenatal yoga classes? 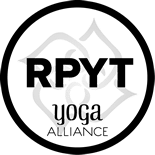 I attended your Prenatal Yoga classes at Be One Yoga studio and have a few classes left on my pass – can these classes be applied to a Yoga for New Moms series? I have never taken a yoga class before – can I attend the Yoga for New Moms class? I am still pregnant, but the prenatal yoga schedule doesn’t work for me. Can I attend a Yoga for New Moms class instead? What should I wear / bring to the Yoga for New Moms class? Can my partner come to Yoga for New Moms? Do I need to pre-register for the Yoga for New Moms session, or can I just drop in? What is the difference between Mommy & Me Yoga and Itsy Bitsy Yoga? What are the benefits of Itsy Bitsy Yoga? At what age is it safe for my baby to start practicing Itsy Bitsy Yoga? Will I be practicing yoga in Itsy Bitsy Yoga? Is it ok to drop off my Toddler and come back after class to pick them up? Are siblings welcome in class? Can I drop in for a class to see if we like it or do we have to sign up for a full session? My toddler is very active and I’m not sure she can sit still for the entire Tot yoga class. Should I wait until she’s bigger to sign up? Do you offer weekend and evening classes? I already have an Itsy Bitsy Yoga book – will I still need to pay the registration fee? Is it ok to bring visitors to class? What should we wear / bring to class? Which class should I sign my baby up for – Baby, Tot or Tyke Itsy Bitsy Yoga? I am interested in a class that I can bring both of my kids too. Do you offer anything like that? I have twins and would like to sign them up for a Itsy Bitsy Yoga class – do you offer a sibling discount? 1. What are the benefits of prenatal yoga? There are many benefits of practicing prenatal yoga. On a physical level, prenatal yoga Improves circulation, aids in digestion, strengthens the uterus and pelvic muscles, promotes hip opening in preparation for labor and delivery, creates more space in the body for organs and for the growing baby, decreases back pain and sciatica, helps to decrease swelling of the ankles and feet, reduces constipation, varicose veins, and nausea and increases overall comfort during pregnancy. Specific prenatal yoga poses can also help your baby to settle into an optimal birthing position. These postures can be practiced at any time – even during labor! Outside of these physical benefits, prenatal yoga can also help you connect with your baby and your body as you prepare for labor and delivery through the breathing techniques and meditation techniques. Calling upon these skills during labor will help you stay present and aware so you can tune into what you and your baby needs. You will also have the opportunity to share information and connect with other like-minded Moms. 2. Why are the prenatal yoga classes 2 hours long? Check In: We start each class with a check in where each Mom gets an opportunity to talk about what’s going on in her body and what she would like to work on. She is also encouraged to share what’s going well. Anna uses this information to design the sequence for that day’s class. It’s also an opportunity for everyone to learn from each other as questions come up about sensations in their bodies, sleep issues, leg cramps, etc. The check in takes anywhere from 20 – 30 minutes depending on the size of the class. Pranayama: After checking in, we move on to our opening Pranayama (breath) practice. The pranayama practice usually takes between 5 – 10 minutes and focuses on letting go of the day, coming into the body and onto the mat, clearing the mind and connecting with your baby and the breath. Specific exercises are often ones that Moms can call upon during labor and delivery. Asana: After the Pranayama Practice, we move onto the Asana (poses) practice. Again, this portion of the class is tailored to the needs of the Moms in the room. We always make sure we stretch all parts of the body, but we may focus on areas such as hips, low back, neck and shoulders if that’s what’s needed that day. Anna offers variations to each pose so that the class is accessible to beginners and advanced practitioners alike. However, only poses that are safe for pregnancy are offered. Anna also weaves in childbirth education into the class by explaining how the movements are helping us during our pregnancy as well as how they can help during labor and delivery. The Asana portion of the class takes between 60 – 75 minutes. Meditation: There is usually some kind of meditation practice woven into the class. Sometimes it’s during the pranayama practice, sometimes during the asana portion and sometimes just before Svasana, our final pose. Practicing meditation can help quiet the mind, connect with the body and the baby and can be a useful tool to call upon during labor and delivery. Svasana: We end our classes with a 10 – 15 minute Svasana (translated as corpse pose, it’s our final resting pose.) Svasana gives us the opportunity to rest and allow the practice to settle into the cells of the body. Moms are offered various positions to choose from depending on what is best for their bodies that evening. These positions include side lying (with bolsters and blocks), Viparita Karani (legs up the wall pose for 5 minutes) or laying on an inclined bolster on their backs. As you can see, we get a lot done in 2 hours! So, take the time you deserve to do something wonderful for you and your baby. 3. At what point in my pregnancy should I start prenatal yoga? Prenatal Yoga is a gentle form of exercise, but is so much more. It’s usually safe to start prenatal yoga at any time in your pregnancy, but if you have any kind of complications, please consult with your healthcare provider to determine when it’s safe to start. Most Moms start at around 12 weeks, but I’ve had Moms start as early at 6 weeks and as late as 38 weeks! Join us when you’re ready! 4. I have never taken a yoga class before – can I attend a prenatal yoga class? Yes! Prenatal Yoga is a gentle and accessible form of yoga. Many people start their yoga journey in prenatal yoga. Anna offers variations for each pose to make each movement accessible to practitioners at every level. 5. I just had a baby. Is it ok for me to come to Prenatal Yoga? Congratulations! I hope that you had a wonderful birth experience. While yoga is a wonderful form of postnatal exercise once you’ve been cleared for exercise by your healthcare provider, I do not recommend you attend Prenatal Yoga at this time. Now that you’ve had your baby, both energetically and physically, your needs are different than those of an expectant Mom. You will also benefit most from being in a circle of other Moms who have already delivered their babies. Please check our schedule and attend a New Moms class and bring your baby! Also, consider signing up for an Itsy Bitsy Yoga session so baby can benefit from some yoga too! 6. What should I wear / bring to prenatal Yoga class? Please wear comfortable, stretchy clothing to prenatal yoga. We also recommend that you wear layers so that if you become warm during class, you can take a layer or two off. Please bring a yoga mat and some water with you. Since the classes are so long, we recommend that you eat right before class (your food will have a chance to digest while we check in) and if you are experiencing nausea, please bring a snack with you as well. Bring anything else you need to help you feel comfortable. 7. Can my partner come to prenatal yoga class with me? Unfortunately, prenatal Yoga is designed for pregnant Moms only. We try and create a safe, sacred space where Moms can freely share anything they need to. There is also something very special about the Sangha (like-hearted / like-minded community) that we build in class. It’s something special just for you and your baby. However, we do not want to leave partners out! We offer a Couples Yoga for Labor workshop (usually every other month or can be arranged as a private class in your home) which is designed for you and your partner to experience together. 8. How often should I attend prenatal yoga? Attending class regularly can be very beneficial. We now offer Prenatal Yoga twice per week. Join us as often as you are available. 9. I practice yoga regularly. Is it ok to continue, or should I switch to prenatal yoga? Prenatal yoga is very different than a general yoga class. In prenatal, all of the poses are safe for pregnancy and focused on you and your needs. If you choose to continue to attend your regular yoga class, be sure to modify the postures to keep you and your baby safe. If your class is a vinyasa-style class that transitions quickly between poses, incorporates twists, chaturangas, back bends and belly poses, it might be time for you to switch to a prenatal yoga class. If you practice hot yoga, it’s usually best to transition to a non-heated class as soon as you’re pregnant. Although you’ll find the prenatal yoga classes very different and maybe slower than what you’re used to, I think you’ll enjoy being with other pregnant moms and slowing things down to meet your body where it is now that you’re pregnant and transitioning into motherhood. 10. What should I look for when selecting a prenatal yoga class? The number one thing to look for when selecting a prenatal yoga class is that the Teacher is well trained. 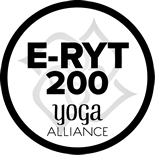 Pick a class taught by a teacher who is not only a Yoga Alliance Registered Yoga Teacher, but also a Yoga Alliance Registered Prenatal Yoga Teacher who has completed an 85-hour Prenatal Yoga Teacher Training at a reputable school. I also recommend looking for a class that not only offers prenatal yoga poses, but also includes the breath work, meditation and childbirth education as part of the class. 11. Do I need to pre-register for a class, or can I just drop in? While our classes are designed as drop in classes, there is a class size limitation in our new space and classes often fill up fast. As such, I recommend going online to Be One Yoga Studio’s MindBody system and pre-registering for each class you would like to attend. You can pay online through the system as well and can either purchase a drop in for that day, or a pass which lowers the per class cost. 3. If you’re new to their site, type in your first and last name in the boxes to the right. If you’ve signed up for classes online before, type in your email / username and password. 4. If you’re new to the site, fill out the additional information on the next screen and set up a login by typing in your email address and password (twice) and click the “CREATE ACCOUNT” button. 7. Click the “CHECK OUT” button to enter your payment information and complete your transaction. 8. If you’re unsure if you are registered for a specific class date or if you are on the waiting list for a specific class date, just lot into your Be One Yoga MindBody account and click the “MY INFO” tab at the top and then select “MY SCHEDULE” just under the tab. There you will be able to view all of the classes you are scheduled to attend in the future. 12. Is there parking at the studio? Yes. There is ample parking right in front of the studio. 13. What time should I arrive for class? I recommend that you arrive 5 to 10 minutes early for class. That way you can check in at the front desk, have time to put your things away and come into the space so you can get settled on your mat. Anna tries to start class on time and appreciates you arriving on time as well. 14. What do I do once I arrive at the studio? Once you arrive, please check in at the front desk. There will be a sign in sheet – please add your name to that. If you haven’t preregistered or prepaid for the class, please let the person behind the desk know. Once you’ve checked in, proceed to the women’s locker room (just past the desk to the right) where you can leave your valuables, coat and shoes. Be sure to turn your cell phone off. When you’re ready, proceed to Studio B (the room at the front of the studio) where you can set up your mat. I will have bolsters out along the walls. Please place your mat under a bolster and get the props you’ll need (at least 1 block and an optional blanket – the floors are padded so you may not need a blanket.) Feel free to sit up on the bolster against the wall and relax until class begins. 15. What happens if I purchase a class card but have my baby before I am able to use up all the classes on my card? 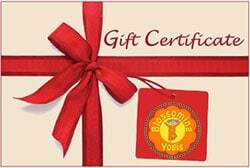 If your class card hasn’t expired (you have 60 days to use a 5-class card and 90 days to use a 10-class card), you can attend any other Hot Yoga class offered at Be One Yoga Studio once you’ve been cleared for exercise again. I would recommend starting with a Yin class or a Slow Flow class as you slowly transition back into your yoga practice. The monetary value of the classes left on your pass can also be applied towards a Yoga for New Mom 5-class session if it’s being offered at the time. Once you have your baby, contact Anna to let her know and she will put a freeze on your pass until you’re ready to come back to yoga. 1. What is the difference between Mommy & Me Yoga and Itsy Bitsy Yoga®? There are a lot of Mommy and Me Yoga classes out there. Although they are marketed as yoga for Mom and Baby, most of the poses are geared for Mom with the baby lying near by. Yoga for a new mom is very beneficial, so I really recommend these classes, which are similar to the Yoga for New Moms classes that I offer. Itsy Bitsy Yoga classes are different because they are yoga specifically for the baby. The parent or caregiver who brings the baby to class will help move the baby into the various poses which were specifically developed by Helen Garabedian, a Mom, Yoga Teacher, Developmental Movement Educator, Author and the creator of Itsy Bitsy Yoga. 2. What are the benefits of Itsy Bitsy Yoga? 3. At what age is it safe for my baby to start practicing Itsy Bitsy Yoga? Baby Itsy Bitsy Yoga is designed for newborns through pre-crawling babies. Tot Itsy Bitsy Yoga is designed for mobile babies (crawling, scooting or walking) up to 24 month olds. Tyke Itsy Bitsy Yoga is designed for 2 – 4 year olds. While Itsy Bitsy Yoga is gentle and safe for your baby to start as a newborn, I usually recommend that you wait until your baby is at least 4 – 6 weeks old before you join one of our sessions. I will offer you variations for your baby until your baby is 8 weeks old and for a few poses, 4 months old. If your baby was born prior to his or her 37th week of gestation, contact Anna to discuss what might be the best time for your baby to start yoga. 4. Will I be practicing yoga in Itsy Bitsy Yoga? Itsy Bitsy Yoga is designed to be a yoga program for your little one. With that said, there are some standing poses in Itsy Bitsy Yoga where your baby will be in your arms and you will be able to get some movement in with your body. 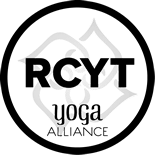 As your baby grows, your ability to join them in the yoga practice will grow as well and by the time they’re in the Tykes class you will be able to practice a lot of yoga with your Tyke. 5. Is it ok to drop off my Toddler and come back after class to pick them up? Itsy Bitsy Yoga is designed as a bonding experience between you and your little one. Your toddler may also need you to help them get into the posses. As such, we ask you to please join your toddler in every class. 6. Are siblings welcome in class? As much as we would love to meet your little one’s sibling(s), our classes are designed for special one-on-one time between the caregiver and child who is enrolled in the class. As such, please try and leave siblings at home. Siblings are welcome in our Little Family classes, which are designed for your Tyke with a younger sibling to enjoy yoga together. If you have an older child, you might consider a YogaKids® class just for them. 7. Can I drop in for a class to see if we like it or do we have to sign up for a full session? Our Itsy Bitsy Yoga classes run in sessions; unfortunately, we don’t allow drop-ins. We have a maximum capacity of 12 families in each class and most of our sessions are full, so we usually don’t have room for a drop-in. Also, we build upon what we learn in each class, so it’s best for you and your little one to attend a full session. Finally, one of the benefits of Itsy Bitsy Yoga is connecting with other like-minded families with kids that are the same age. Attending a session together helps build that connection and relationship. 8. My toddler is very active and I’m not sure she can sit still for the entire Tot yoga class. Should I wait until she’s bigger to sign up? The job of a Tot is to move through space and we encourage it! We do not expect them to sit still and stay on their mats. They learn through their movements and take in the yoga poses as they go. Sometimes the Tots won’t do any yoga during class, but you’ll find them showing off their new skills at home or other locations. Other Tots do lots of yoga during class. Either way, it’s a fun and beneficial activity for you and Tot to do together. 9. Do you offer weekend and evening classes? Unfortunately, we do not offer weekend or evening classes not at this time. We have tried to run sessions on weekends and evenings in the past, but they weren’t successful because many families use those times as family times. We frequently add new classes, so please check our schedule to see if a weekend or evening class is added. 10. Why do you charge a registration fee? We provide each new student with an Itsy Bitsy Yoga book. The registration fee covers the cost of the book as well as a small administrative cost. We didn’t require the book when we first began offering Itsy Bitsy Yoga and we found that students called and emailed a lot asking questions about words to songs and reminders about how to do a specific pose with their babies. Most of the poses and songs that we practice in class are in the Itsy Bitsy Yoga books, so that is why they are now required. 11. I already have an Itsy Bitsy Yoga book – will I still need to pay the registration fee? If you already have an Itsy Bitsy Yoga book, your registration fee will be reduced to $5. 12. How do I register for a class? 13. Is it ok to bring visitors to class? Please refrain from bringing visitors to watch our class. As with most yoga classes, we learn through embodying the practice and supporting a non-judgmental space for new and experienced parents or caregivers – having visitors in the class could change this dynamic. Your baby will also get more out of the class when they have one caregiver sharing the yoga poses with them. If you have a family member in town or a parent who has a day off of work who would like to come to class, perhaps they can bring your little one to class that day. 14. What should we wear / bring to class? Although this yoga class focuses on yoga for your baby, you will be sitting on the floor and doing lots of movement to help your baby or tot get into the various yoga poses. So, please dress comfortably and dress your little one in comfortable clothes as well. Just like in other yoga classes, we ask that both you and your baby have bare feet for stability when doing the poses. Your baby’s favorite toy (preferably a small one). A blanket for you to sit on (or anything you’ll need to make yourself comfortable while on the floor with your baby.) Please note that we won’t have blankets or bolsters available to borrow in this space. A blanket for you to sit on (or anything you’ll need to make yourself comfortable while on the floor with your tot.) Please note that we won’t have blankets or bolsters available to borrow in this space. Please keep all toys at home if possible – thank you! 15. Which class should I sign my baby up for – Baby, Tot or Tyke Itsy Bitsy Yoga? Baby Itsy Bitsy Yoga classes are designed for newborns to pre-crawling babies. When your baby is mobile (walking, crawling or scooting, they are ready for the Tots class. Once your Toddler turns 2, they are ready for the Tyke class. 16. I am interested in a class that I can bring both of my kids too. Do you offer anything like that? Our Little Family class is designed for a Tyke (2 – 4 year old with parent/caregiver) with a younger sibling. Unfortunately, we do not offer Tyke or Little Family classes at this time. We hope to add them back into our schedule again soon, so please check back! 17. I have twins and would like to sign them up for a Itsy Bitsy Yoga class – do you offer a sibling discount? Yes! We offer a 20% discount for siblings whether they’re registered for the same class or for different classes.